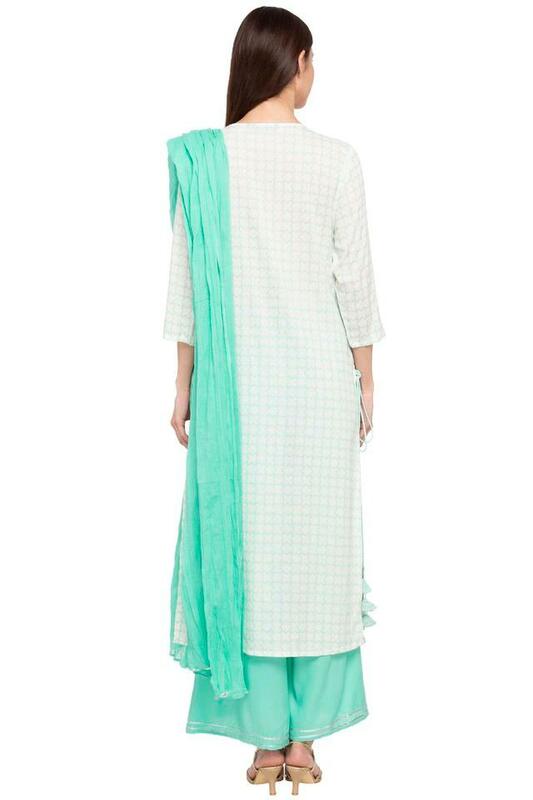 Amp up your glamour quotient by wearing this palazzo suit from the house of Stop. Featuring a print pattern, the kurta comes with a precise embroidery work at the front that renders it elegant, while the dupatta further elevates the overall design of the ensemble. The premium quality fabric make further ensures a comfortable feel all day long. Get the perfect look for any special occasion by wearing this palazzo suit with a pair of stilettos. The kurta flaunts a precise embroidery work at the front that elevates its design to a new height.